Want to serve your kids a better Sloppy Joe? 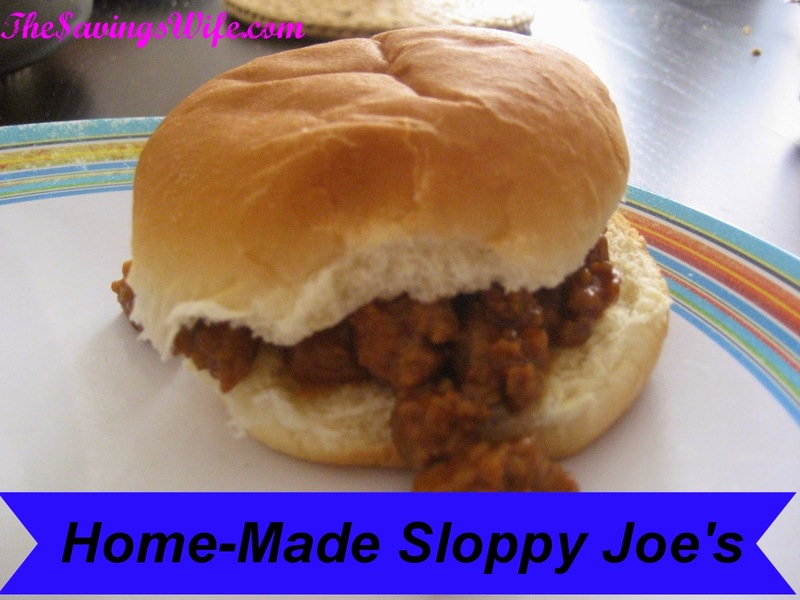 Check out this recipe for making your own Sloppy Joe's at home. My kids like their Joe's plain I like mine with a slice of Cheese and a side salad. This is a great recipe to use with your meal planning. Heat oil in a large frying pan set over medium-high heat. Saute onions for 5 minutes. Add beef to the pan. Cook, stirring until browned, about 5 to 10 minutes. Drain off fat. Stir in ketchup, Worcestershire sauce, sugar, salt and pepper. Simmer over medium-low heat, stirring occasionally, for 10 minutes or until slightly thickened. Serve on sandwich buns. You can serve it with additional toppings such as lettuce, tomato, grated cheese, sour cream or ranch salad dressing.